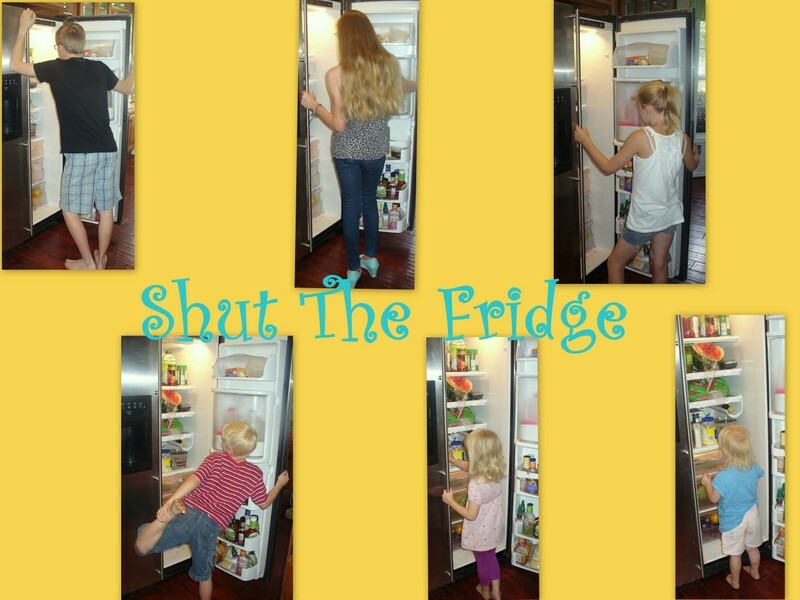 Shut The Fridge: Word Problems, Oh My! Has every person on earth hated word problems at one time or another? I know my kids have. Rainman? Well, he is weird. He loves those kinds of things. Thanks to Lonestar Learning and Target the Question, my kids....and even me....are learning that word problems don't necessarily have to be feared. This is a digital or on-line program that gives you access to 40 weeks of problems. What I really liked about this program is you use the same set of information or data for each day of that particular week. Does that make sense? There is one paragraph of information with a lot of information. And then, each day, there is a different question your student must answer. So, they need to figure out what information they need to dig out of the information for each day and problem. So, different daily questions and you need to weed through all the available information and just take what you need to answer the question of the day. 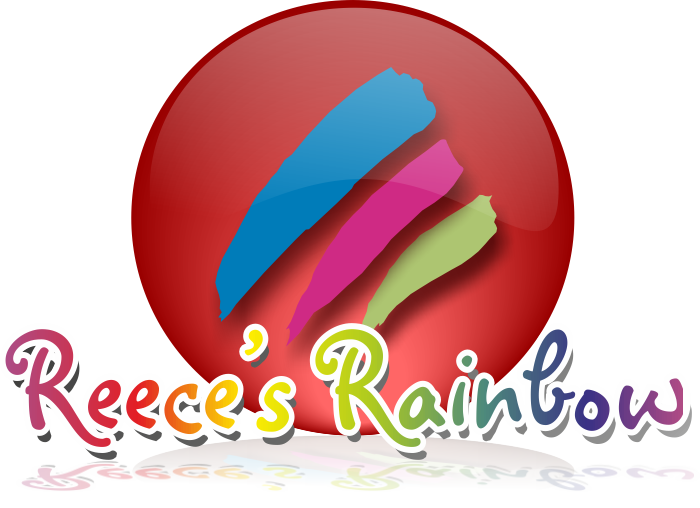 This program is available for grades 1 through 7. Although this program is also available in Spanish, but that is only for grades 1 through 5. We used this with L-girl who is in grade 5. She would log on, usually once a day, and do her question of the day. If we happened to miss a day, she would just do 2 questions the next time she logged on. Each days work only takes about 5 or 10 minutes, so it wasn't a big deal for her to do more than one question in a sitting, if she needed to. 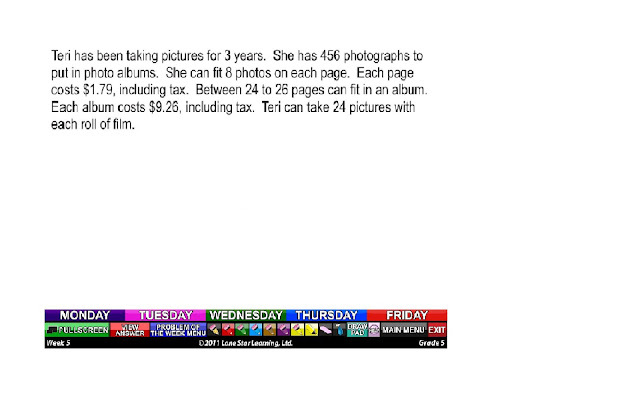 Then, for example, Tuesday's question would be, "How many albums will Teri need for her pictures?" On the page, you have your paragraph of information, and at the bottom there are tabs for each day of the week. So, obviously, on Monday, you click the Monday tab for that day's question, and so on and so forth. There are other extra thingies available like a digital scratch (Draw Pad) pad to work out your answers. After you finish your work, you can click on the View Answer button. While there is a Draw Pad button where you can do your work, and even choose different colors to work with, but, both L-girl and I decided we didn't like using it and would much rather use our own scratch paper and pencil to work the answers. Rainman and I both liked being able to talk L-girl through figuring out what information she could ignore for the daily questions.....when she needed us. Like I said, Rainman loves word problems, so he found it fun and easy to weed through the information. Sometimes, I had to stop and think before I could help guide her into finding the right information and ignoring the rest. The good thing was, if I didn't have time to think through and help her figure out the right answer, the digital access comes with PDF access to the answer key and other printables for the problems, so we could have easily checked that, in addition to just viewing the answer while we were on the page. The only thing that I would consider a possible negative is that there isn't a cheaper option for families that may want to use this with more than one child. I could actually see using this for A-man and S-girl....A-girl too if they had an older option, but the price makes that impossible for us to consider. Right now, you pay for the yearly access to Target the Question for one specific grade level. You can try it out for free too. Just pick a grade level and take a look. It is a pretty neat product, that I can guarantee you would have helped me with my math/word problem skills as a child. You can get access to Target the Question, digital edition for $59.99. Take a look and see what they thought. Disclaimer: I received digital access to this product through the Schoolhouse Review Crew in exchange for my honest review. I was not required to write a positive review nor was I compensated in any other way. All opinions I have expressed are my own or those of my family. I am disclosing this in accordance with the FTC.